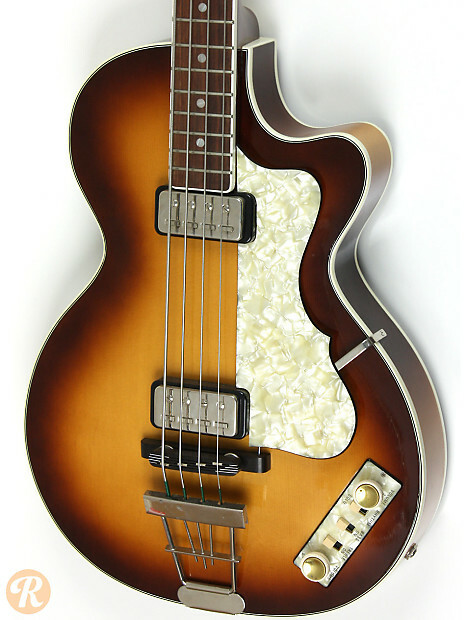 The current Hofner Club Bass H500/2 is a vintage reissue of the original 500/2 model bass from the 1960s. It features a hollow body with a short 30" scale length. Not to be confused with the Limited Edition model that has much closer spaced humbuckers, or with the cheaper Ignition model with Staple pickups.